Nominations, nominations, nominations! Awards season is upon us, and since we’re still in the "you can dream" stage of the process, we can share our hopes and desires, compare them... even try some new shows while our favorites are on hiatus. Later on, we’ll confront reality. We’ll stare at the actual Emmy ballots and laugh at our naiveté. We’ll grumble about how the same shows get nominated over and over. For now, though, let’s have some fun. My conclusion after perusing the comedy list is this: I really need to watch more comedies. The Big Bang Theory is my go-to favorite, because it’s consistently funny, I love each and every one of the characters, and also because it speaks to the geek in me. Modern Family, on the other hand, is that one show I always grumble about, mostly because it gets so much Emmy love that, contrary as I am, after the nominations, I always try to boycott it. It never works, because Modern Family is that show that, when I’m feeling down, when I need a pick me up, when I think nothing could make me laugh… it comes through for me. So, those are like my two constants. On any other year, those would have been my only nominations. This year, though, this year, there’s Jane The Virgin, THE new comedy of the year in my opinion, a surprising mixture of laugh-out-loud funny and heartwarming, and Unbreakable Kimmy Schmidt, that one little TV show that you click on because you heard the words Tina Fey wrote it, and then, six hours later, you’ve watched the whole season, and you’re not even sure how it happened. As a book reader first, I have mixed feelings about Game of Thrones, but in a season with a few misses, the show still consistently delivers good fun (and a lot of heartbreak), so it deserves a spot. House of Cards is like… it’s like an addiction. It’s so twisted and shocking and enjoyable that I’m sometimes surprised when I realize I’m watching drama. And, finally, Outlander gets a nod in my book, mostly because it felt like a guilty pleasure (all that romance! ), and yet, at the same time, it managed to be quality television. No one has seen Mozart in the Jungle, and it’s a total shame. I wish I could TALK about this wonderful show with someone. (YOU SHOULD GO WATCH IT). Gael Garcia Bernal is a revelation, and I don’t say that because we didn’t know he was a good actor, that’s old news, we just didn’t know he could be a funny actor. And he is. Funny, and with hidden depths, my favorite kind of guy. And, then, of course, there’s Jim Parsons mostly because, well, he’s Jim Parsons. How can I not? I’m the first one to complain when the same actors win year after year, but …eh ..that doesn’t apply to Jim Parsons. Sheldon Cooper is one of the funniest/most original characters in recent years, and though he could have become a caricature with the years, the same old joke over and over again, Parsons has made Sheldon a real person that we sometimes don’t understand, but that we empathize with, and that deserves a nomination. Finally, in a category where I’d give the Emmy to Parsons without blinking, I have to mention Andy Sandberg, because his Jake Peralta is the perfect example of a character I was prepared to hate, and then, Andy Sandberg, by the strength of, well, being Andy Sandberg, made my change my mind. Talk about charisma. This category was like pulling teeth. I had a list of like 10, and it was haaard to reduce it down to six. Stephen Amell is an undeniably beautiful man and a really under-appreciated actor. He’s not only hot as hell, he can really act. I swear. Like, even when he’s got a shirt on, and he’s just doing the eye thing, and… yeah. I’m in love with Stephen Amell. And his acting choices. Yes. That. Then we have Simon Baker, and boy, am I going to miss him. I’m not sure I’m going to miss The Mentalist as much as I’m going to miss Simon Baker on my TV screen, because Simon Baker was the show. He won’t get a nomination for a shortened season, but the acting he had to do on the final few episodes, with Jane finally figuring out to be happy after so many years of gloom was some of the best work Baker has done. James Spader doesn’t need an explanation, does he? And Grant Gustin was wonderful as Barry Allen, so likable and funny, and so… Barry, that every time I hear his name I want to squish him. To round up the category, there’s Gabriel Macht, because, come on, he makes Suits work, and Jonny Lee Miller, who, for a guy who had to compete with Robert Downey Jr. in the best Sherlock Holmes category, has really established his version of the character as someone we enjoy. This category always amazes me, because there are some consistently funny ladies in here that I love so much. Parks and Recreation is over, and it’s like, a travesty, for I cannot imagine a year without Amy Poehler on our TV screens. But, we’ve survived without Tina Fey, so I have to assume we’ll be able to make it without Amy too, especially if we continue to get such great newcomers as Gina Rodriguez. Jane the Virgin was one of those shows I absolutely was NOT going to watch, and yet, here I am, watching it and loving it and about 90% of that is because of Gina. Zooey Deschanel is not a newcomer anymore, and her brand of comedy is the sort that I figured would get old after a while, and yet, it never has. At least not for me. Ellie Kemper was just a breath of fresh air, so much depth behind the funny that I sometimes had to pause the show and take a moment to process it. And, finally, yes, I did that thing where I put Julia-Louis Dreyfus, who’s been nominated like 30 thousand times, on the list. But Veep makes me laugh. It makes you laugh. It makes Emmy voters laugh. It’s like… she’s funny. What can you do? Gillian Anderson got a lot of accolades for playing Scully all those years ago on The X-Files, and many people, at the time, said it was the writing. Stella Gibson is proof that they were wrong. It wasn’t just the writing. It was also brilliant acting from a supremely gifted performer. Robin Wright is a heavyweight, so the fact that she’s wonderful in House of Cards should surprise no one. I don’t even have to wax poetic about her, because most everything has been said already. Hayley Atwell, however, deserves all the accolades. She’s taken Peggy Carter from a one-movie character to a cultural phenomenon. Now it’s like we can’t get enough of Peggy Carter, and the credit is all hers. Finally, Caitriona Balfe is the Claire that I pictured when I first read Outlander: strong, vulnerable and feisty. And Jennifer Morrison does a perfect job of being the outsider, and, at the same time, the center of everything on Once Upon a Time, and surrounded, as she is, by more seasoned performers, it’s easy to miss how much the success of this show rests on her shoulders. I’m sorry. Forgive me. Really. I know I have failed this category, but it’s not my fault. I tried to leave Ty Burell and Ed O’Neill out, but …it’s like their names wrote themselves. I also tried really hard to not put Hugh Laurie on this list, but… but … he’s Hugh Laurie. He does serious-yet-funny better than almost anyone on TV, and I’m a sucker for that kind of comedy. And, I HONESTLY re-read the list four times trying to find someone that I liked more, but yeah, not happening. I’m boring when it comes to comedy. I need to expand my horizons. I often feel like Peter Dinklage is the MAIN character in Game of Thrones, but, of course, when you have an ensemble cast, you’re relegated to this category. There isn’t much I can add that hasn’t already been said about Dinklage, he steals every scene he’s in, and he deserves the nomination, probably the Emmy. Colin O’Donoghue, however, doesn’t get nearly as much credit as he does for playing Hook, and he does such a wonderful job of playing him as an understated and still very intense guy. 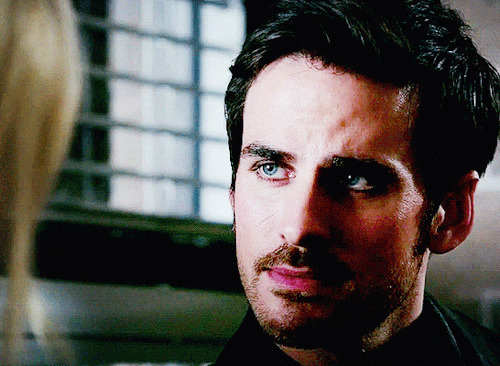 His chemistry with Jennifer Morrison is off the charts, comparable only to Stephen Amell and Emily Bett Rickards, really, and yet, people continue to treat O’Donoghue as just a pretty face. I’d really love a nomination for him, though I probably won’t get it, because it’s high time people noticed how good he truly is. I feel like I’m cheating here. Maybe I am. Every year, I swear, EVERY YEAR, I say: WHY IS JULIE BOWEN NOMINATED AGAIN? And then, when I’m the one picking my dream ballot, there’s Julie Bowen. But… but… Julie Bowen is my FAVORITE part of Modern Family. Claire and Phil are the reason I watch the show. Well, okay, Claire and Phil and Jay and Gloria and …FINE. I LOVE MODERN FAMILY. I ADMIT IT. I love Sofia Vergara too, because for so long she’s carried a reputation as a pretty actress, not a good one, and finally, she’s getting his due. The woman knows comedy. Finally, there’s Kaley Cuoco-Sweeting, because, as much as I love each and every character in The Big Bang Theory, I’d still watch if it were just the Penny and Sheldon hour. These three wonderful ladies are nothing alike, and yet, each, in her own way, is at the heart of their show. Stephen Amell says so much without words, and Emily Bett Rickards says an absurd amount with the pauses between words. Oliver is a broody guy, so Amell has to make due with silences. Felicity babbles, so Rickards has found a way to transmit just as much as Amell, without the benefit of the silence to do so. It sounds easier, but it really, truly isn’t. Finally, Lena Headey is always excellent, but for her performance in the season finale of Game of Thrones, she deserves that Emmy. Just give it to her. It’s hard to convey pain, harder even to convey pain and at the same time to appear unbroken, but to do those two while still looking murderous and proud? That takes talent. It’s hard to pick just one episode from my two favorite comedies, The Big Bang Theory and Modern Family, but for the other two, it’s very, very easy. If you don’t do the beginning well, then, the viewers don’t come back for the second episode. It’s very easy, for both Mozart in the Jungle AND Jane the Virgin, just watch the pilots, and then we’ll talk. Or, not talk, because you’ll be binge-watching.